I can't imagine that I have already blogged 65 men's look here on Fierce Blogs! Looking back at my earliest What I Wore blog post (OOTD), I guess the first ever entry was done 2012. 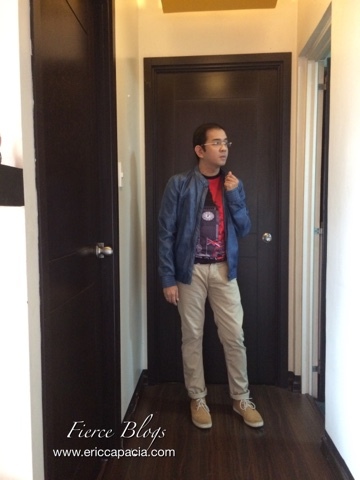 Here's my oldest OOTD post here on Fierce Blogs - Click Me! For the latest blog post, let me share one of my favorite look. Of course, I still wear the usual preppy look. But this time around, I mix it well with a touch of grunge look for some fun!